At $199 Amazon has proved it knows how to price. The question now is whether consumers want a Rolls Royce or a mini. Despite no mike or camera and being booksize, we think Amazon have got it right especially with 3G inside. More and more authors are now considering digital publishing opportunities and are taking control of their own works. New ventures such as Unbound, are inviting them to submit their unpublished work to into a social media lottery. Barnes and Noble Pubit, Wattpad, Lulu, and Kindle publishing, are among others all offering new ways to get published. We now even have agents embroiled in heated debate, as some of their numbers are starting to wear two hats and become publishers. We also see the publisher now creating new digital ways to socially capture and sift through the mountain of submissions. Although these routes may not offer the financial rewards of the more traditional one for authors, digital is now importantly enabling everyone to be published. The democratisation of writing and storytelling is arriving. The old world has a series of gatekeepers which conveniently stand between the hoards of aspiring writers and the infamous ‘slushpile’ and the author goal of being published. However these roadblocks are now being increasingly questioned, tested and removed, but even in this new digitally evolving world, the old world of suppression, narrow selection and often closed ‘who you know’ circles still exists and are still supported by some in the establishment as the right way to do business. We recently attended a new literary festival and were intrigued to listen to a talk from a leading literary agent and UK publishing personality. 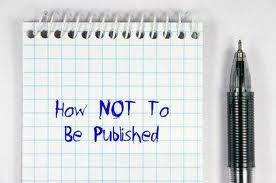 The subject was on how to get published, but the reality was that it should have been titled ‘why you are not going to get published’. We heard many anecdotal stories about why agents matter, the difficult task they, or their interns face, in sifting through mountains of submissions. The fact that less than 1% of their submissions they receive actually even get to the consideration phase of selection. This poor agent already has a backlog from an obvious holiday in August and basically is in shutdown with Frankfurt for ‘two months’ and then no doubt Christmas will have its impact. It was hardly surprising that they had only taken on one new author and the last few years and were clearly focused in working their existing lucrative stable. Apparently, even agents get upset when they get knocked back from publishers at the next gatekeeper post! It appears we have built a risk adverse approach to publishing. There are, and always will be, good and bad agents and those which are more appropriate for an author than others. However, this image of ‘X Factor auditions’ would be fine if they at least promoted writing and worked in this digital, switched on and networked community, but the reality they don’t promote but suppress writing and are still clearly based on the physical book world, lengthy lead times to market and the 256 page economic model. ‘Don’t publish digitally and expect an agent or publisher to be interested second hand,’ was delivered, not so much as advise, but as a veiled threat. ‘Every clause in a contract should be reviewed by the agent,’ was then countered by the claim that boilerplate contracts are the way forward and many clauses can now be waved through. ‘Digital royalties should be greater than the 15%,’ but the figure suggested was still somewhat shy of what many believe is appropriate. The point is that, if we were aspiring writers then the contradictions and ‘holier than thou’ plaudits on offer would have been more of a switch off than an encouragement to write. Agents have many valuable contributions they can make a real contribution to the creation of more works and support new talent, but this talk demonstrated what some would suggest is how out of touch some are to the world today. What are you doing on Wednesday this week? There are strong indications that Amazon are to announce its long awaited tablet offer in Manhatten. Will it change what you do from that moment on, or will it merely be more technology news and leave you waiting for the sports results? 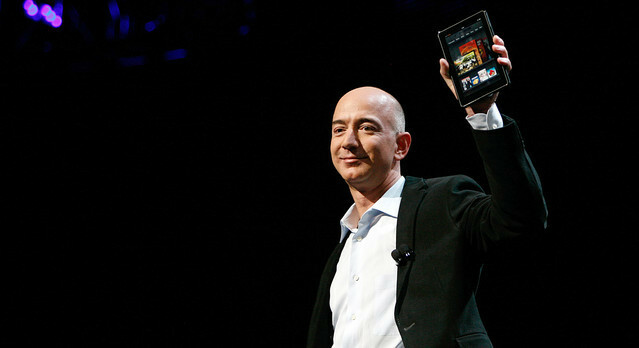 Amazon will certainly announce its entry into the tablet market very soon with the aim of capturing that Christmas surge. Some will ask themselves why they should buy one and not the iPad and will be appreciated as a present or merely viewed as second best? Will Amazon’s entry be any different to that of Motorola, HP, Blackberry, Acer and all who have failed to register their tablet offers against Apple? First we must forget looks that will remain with Apple. We must also forget user interface that will remain with Apple. Finally, we must forget desirability that like a sports car or any design icon will remain with Apple. So what has Amazon got going for it? How on earth can it make its mark against such an iconic slab of technology and a brand that is so clean that everyone respects it even though they may not own one? The answers are many but are simple and to understand them you have to first understand Amazon’s history and the basics of their consumer proposition. Amazon doesn’t sell books, films, music and games to shift technology, but sells cheap and usable technology to shift, music, books, film, games. This is a fundamental difference which changes how the device and its interface works. Amazon didn’t have to invent agency pricing to establish a margin, it was already media retailer and understood the market, pricing and how to control it and make money. Amazon importantly has created a global offer that is known everywhere and unlike its main book competitors Barnes and Noble and Kobo has recognised that a world really does exists outside of North America. Amazon is a media retailer and no longer a book, music or film retailer. It has integrated itself into the very fabric of the markets it serves and with a tablet will exploit this further. It supports authors, publishers, libraries, affliates. Kindle is a true cross platform offer. Importantly, it has realised that network connectivity is important and what we saw as a Whispernet limitation in the early days is now a positive plus. Just go to any one of the 150 plus countries in which its Kindle service is supported and enjoy free connectivity, downloads and no bills. You can even download your local library book from anywhere in the world with no tethering, network charges and no hassle. This may not be important for the vast majority of US citizens that never leave the US but is very important in the rest of the world. We hated eink and the ‘lookie likey’ readers it spawned and with the exception of the Kindle still do. The Kindle however clunky is practical and satisfies text reading, provides a somewhat crude internet browser service and can satisfy email. The keyboard may be built for tiny fingers but it works. Now think of a Kindle colour tablet with touch screen offering the same plus Amazon apps under Android and all at a price probably half of that Apple and with no extra hidden costs. The range of media will be unbeatable, the price of media will be a keen as any, you can also buy physical goods and all this will be tightly integrated into the tablet is a way that could make ‘one click’ a real bonus and create a Kindle experience. Apple tablets will continue to evolve but we still use tablets for the basic stuff o cover the bases people want email, web access, entertainment and an extension to their mobile phone world. The Kindle will not beat the iPad but will be part of a kindle offer that will be clearly more attractive to many seeking value for money. Apple will not be the dominant book retailer and library service provider. They will not attract authors, affiliates and never sell both digital alongside physical. Despite the success of iTunes they remain a high ticket technology company looking for consumers and technology churn and what technology they deliver today they want you to upgrade tomorrow. Amazon merely wants you to buy, rent or loan another book, film, game and track. What is the Value of Your Direct Customer List? Everyone in direct marketing be it mail order, ecommerce or just mailing knows the value of their list. This comprises all their customers and details when the joined, how they joined, what they have received and importantly how much they have bought and what and when they bought it. Sometimes the list itself is rented out via brokers and sometimes it is retained and reciprocal mailing is done instead. The one given is that lists are not cheap to acquire, need constant management and pruning and a name doesn’t guarantee anything but the ability to communicate. In fact acquiring names through brokers and purchase is often fraught with disappointment as the conversion rate is nearly always single figures and the earn-out is only achieved on repeat business. It isn’t often about the size of the list but the concurrency, accuracy of the list and ability to mine it. So we stood back with some amazement when the news broke that Barnes and Noble where buying Borders customer list and information for a staggering $13.9 million. The data is reportedly on 48 million customers but goes back years and in fact has hit a snag because the bankruptcy Judge Martin Glenn has questioned whether Border’s policy covers pre 2008 customers and whether customers must give their consent before the sale can close. The point we would question is the value of the list of 48 million customers, the envisaged conversion rate expected and the cost of acquiring the converted names. This is brought further into question by the fact that Barnes and Noble have already diluted the list and have said that they believe that 31% of the customers are already Barnes and Noble customers. So they are buying 36 million customers.We presume that the list is been de-duped and de-seeded. We are not privy to the detail of which customers are listed and the mix of these but obviously the two businesses did not have exactly the same profile. We presume the list include the ebook business detail which was run by Kobo but does Kobo have that detail separately as they dispatched the goods? What is proportion of gamers, video customers to book buyers? 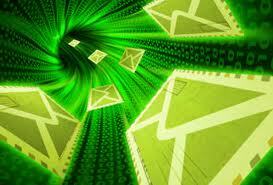 What is proportion of post only detail and what is the size of the email kist? How many are ‘live’ and have bought in the last 18 months and how has the accuracy of the list been maintained during the last 18 months whilst Borders has fought for its life? Acquiring a list of 48 million, sorry 36 million, is fine, but delivering a return is another. Just mailing this number is a challenge in itself if they are to avoid merely being viewed as spammers and being automatically rejected at the first hurdle. Some would suggest that it would be wiser to acquire live companies with live lists or simply buying into electoral lists and directories. We can now see a big question mark over who, how and what is the digital future of our public libraries. Again we need to look at the US today and recognise that although the system may be different, the direction is similar for all and the impact could be either rejuvenating, or dire for those public libraries already fighting to redefine themselves in this new world. Some suggest that Overdrive has merely opened the door to its demise, others that they are merely rolling over and awaiting the cheque. Whatever your thinking on the outcome of the marriage, it now has been consummated and Kindle lending is here to stay. Forget that lending has been available on other platforms it is Kindle that counts and Kindle that now resonates with ebooks in the mind of the consumer. Library lending does have rules on the checking out e-books. In the main publishers have said that libraries must treat digital collections the same way as they treat physical collections. This means that if a library buys 5 copies of a certain book, then only 5 copies can be digitally checked out at one time. This may cause frustration for members but they then appreciate not having to visit a physical library which can be downloaded from anywhere. They also don’t have to return the books as they simply become inaccessible. Best of all they are free to members. However, the restriction on concurrent loans could mean that members who find their desired book is already out on loan could elect to join the queue, or as is more likely, simply go and buy it from Amazon. If the library loan demand increases as expected, then its logically to assume that Amazon will benefit and pick up more sales. The more the latent demand the better it may become for Amazon. Some publishers have not risen to the opportunity and have chosen instead to bury their heads in their bookshelves. 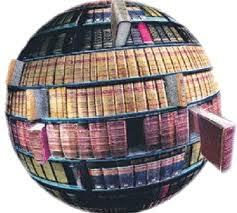 Two major trade publishers, Macmillan and Simon & Schuster, still do not make their e-books available to libraries. HarperCollins on the other hand has annoyed some librarians by introducing a new restriction on its e-books, that limited individual checking out of a title to 26 times before it ‘digitally expired’ and had to be repurchased. So the big question remains whether the ebook revolution is going to bring millions of readers to the public library, as predicted by Overdrive’s CEO Steve Potash, or create a springboard to a new consumer model which could actually damage the digital public library? We think it is a great opportunity for libraries but only if publishers seek to make it happen and everyone makes sure that it is mutually beneficial. What is astounding in today’s world is why the libraries did little to actually create their own service. Why they effectively outsourced their shelves to others and failed to aggregate themselves. Some such as the National libraries have clearly created their own digital collections, but the vast majority have simply rolled over and let in the likes of Overdrive and now Amazon wallpaper their shelves. Are public libraries to become mere 'white label' libraries in the future. We have to ask whether that is was wise dot com? So is it cut and dry that Facebook rules and the rest remain ‘also rans’? It’s true that the more we invest our time and capture our information the harder it is to wean us off our favourite social network drug. Social networks now matter to business not just to spread the word and promote their service offers but in building communities. Therefore all businesses must view these as essential communication channels and invest accordingly. The business that fails in the future may well be the one without network communication. As consumers, we have often demonstrated as liking for joined up thinking and tightly integrated applications. Amazon, Microsoft and many others have proved that the best product doesn’t always win over that which is user friendly. Amazon’s ‘one click’ is a perfect example of something small and simple that is both attractive and compelling to many. We have also seen earlier social network service leaders stumble as users demand more joined up services and as the boundaries of the network and service functions expand. As we master one new service we soon want it neatly joined to the rest. One of Amazon’s smartest moves was their affiliate programme which built their brand through others. The ‘one stop shop’ will continue to be attractive to many. So what is so attractive with the social network of Google+? Some things such as the contact ‘circles’ would appear neater but much off it looks and feels very similar to others. Conference calls have long been a essential business tools and the "mobile hangout" feature, allows Google+ users to also now enjoy video chats with groups of friends. Whilst "Hangouts on Air" would allow anyone with a video podcast to broadcast it to the widest audience. Google has not only developed the hangout service but are set to demonstrate it through the rapper star to promote his very own hangout and new medium. So is Google+ now developing social networks and starting to compete not only Facebook, but also the likes of Skype. It certainly has the potential to adopt a holistic approach and recognise that users use search, maps, youtube, etc and wrapping them in their own social world may be more effective than presented them disparately in others. However the 64 dollar remains- will users move their community service to others or remain with their current investment and also is any technology lead sustainable in today’s highly integrated world? Some would suggest that 12 weeks is a long time during a period of rapid change, others that it is a mere blink of an eye. For the last 12 weeks we haven’t written a line about technology, digitisation or publishing. 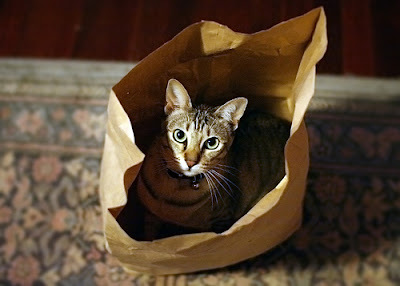 The reasons for this paws in the proceedings were many. It wasn’t that we felt we had little to say, or that things weren’t happening, or we felt that that publishing was now digital, nor did we have writer’s block. So what have we missed during this last 12 weeks? Legally things have continued much as before. The Goodle Book Settlement continues to go on and on. Although Judge Chin has at least set a legal agenda and timetable the parties have now moved on from snippets to distribution and it is worse than watching paint dry. One can almost guarantee that by the time they finally settle the agenda would have some new twist, will mostly be irrelevant and the only ones to profit would be the lawyers. The Office of Fair Trading still can’t seem to get its head around agency pricing, but we must recognise this is the same body who once thought CD pricing in the UK was fair. The Authors Guild’s have lodged a case against the HaitiTrust’s digitisation of orphans, which would seem to suggest to some that the lawyers in the AG are steering the ship and making hay whilst the sun shines. Also we now have the extension of music copyright to accommodate those aging musicians and the ever youthful Cliff Richard. As we have often said, publishing is a rights business without a rights registry and apparently trying to migrate into the digital world, using at best paper and worst telepathy. Should we have expected any different in 12 weeks on the legal front? Market developments however never stop and Amazon certainly keeps announcing acquisitions, partnerships and new services. Any venture that raises its head above the parapet is fair game on Amazon’s radar and if it isn’t then its probably failed. The potential acquisition by Amazon of The Book Depository would appear to be good for consumers but potentially bad for the traditional channel. However some would suggest that the traditional channel has so far failed to compete online. Amazon have also pushed forward with their Overdrive library partnership which potentially is a game changer and they are also quietly pushing their Prime service offer to underpin their services. The only cloud on their horizon continues to be US sales tax issue. The only other market news to grab our attention was the establishment, or ‘Disneyfication’ of Harry Potter into Pottermore.com. Despite Rowling’s previous position on the digital revolution, the move was logical, but the model is somewhat limited for others and who would want to be an agent in these changing times! Technology has been relatively quiet during the quarter. Perhaps it was summer or perhaps they are all queued up awaiting Frankfurt. Sony did continue to huff and puff with a new model based on the old same story and its hardly surprising that they are even stalling in their own backyard. They may be lifted if Waterstones once again adopt them as their ereader answer, but for now look a spent force. Rumours of an Amazon tablet have started to firm up with some even reporting on its testing. Its hard to say whether it is a Nook beater or a iPad rival today, but it is certainly one to watch especially if tethered to Whispernet and offered on the same connection terms as the Kindle. Sorry Amazon brand managers, that should read ‘Kindle’ not the ‘the Kindle’. What is clear is that apart from THE Kindle reader black and white eink is going out of fashion. Finally, it was interesting to see Google acquiring Motorola. This says much about the continued rise of mobile technology and could offer some very interesting options for Android and Google integration. During the period we lost Michael Hart the founder of Wikipedia and ebook visionary and also Steve Jobs finally stepped down at Apple. Both have left a significant digital legacy and have changed publishing from the outside. The one thing that is now starting to gain column inches and much speculation is what some call ‘Netflix for ebooks’ or in Europe ‘Spotify for ebooks’. This is a change in the consumer model, from outright purchase and ownership, to rental and subscription models. We have long argued this and Amazon well poised to move both on the consumer and now library fronts . However, the industry seems reluctant to embrace the change and is bogged down with yesterday’s contracts, terms and model.